Aurora frenzy has captured the Finger Lakes’ attention as a moderate geomagnetic storm is forecast for tonight. Now, I am no expert on space weather, but I’ve long been fascinated by the Aurora Borealis and have picked up on a few tips and observations over the years. First and foremost, let’s address the hype vs the reality. I’ve seen articles calling this event “unusual”, “rare”, or a “big” geostorm. However, the Space Weather Prediction Center, a division of the National Weather Service and NOAA, has a just “moderate” geomagnetic storm watch in effect. This is can be thought of as a Level 2 event on a scale of 1 to 5. During a typical 11-year solar cycle, geomagnetic storms of this magnitude can occur around 600 times, though only some of those will hit the Earth. Still, this is hardly an uncommon occurrence. What is more unusual, perhaps, is that this event will coincide with clear skies in the Finger Lakes tonight. 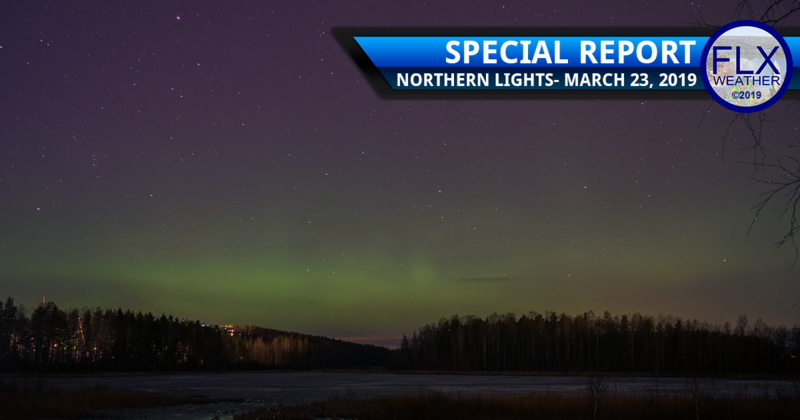 This will give us a chance at seeing the northern lights, though expectations should be tempered. Should the Northern Lights make an appearance, they will likely not be overhead, but on the northern horizon. The University of Alaska Fairbanks Geophysical Institute issues Aurora forecasts and graphics that show this. 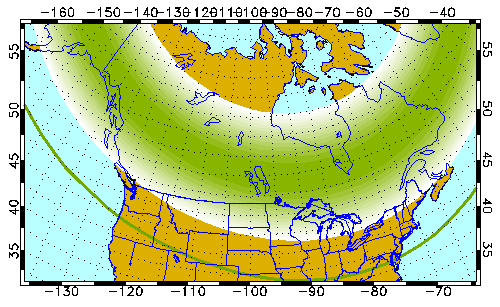 In the graphic for tonight, the bright green area is where the northern lights are most likely to be overhead. As green fades to white, the chances decrease. Areas south of the white edge, but still north of the solid green line, may be able to see the northern lights on the northern horizon. Geomagnetic storms also tend to fluctuate fairly quickly and predictions of their intensity are not always the most accurate. Still, many enthusiasts, myself included, will be keeping an eye to the sky tonight. Here are some tips to increase your chances for seeing the Northern Lights. Keep a view to the North: Pick your viewing spot so you have a clear view to the north. Not only does this mean keeping trees and buildings out of your line of sight, but keep in mind that light pollution from towns and cities will make it harder to see the northern lights. Don’t expect brilliance: If the Northern Lights show tonight, be on the lookout for misty, faded colors. There is a chance they could be bright, but more likely, the sky will look milky with a green or red tint. The south shore of Lake Ontario will be a good place to make an attempted viewing tonight. With the lake stretching to the horizon, there will be no obstructions and very minimal to no light pollution to contend with. Rural hill tops with a view to the north will also be decent locations. Good luck tonight and, most of all, have fun and take pictures! Finger Lakes Weather is viewer-supported. 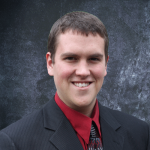 Generous donations have helped me grow my services and continually provide honest, accurate no-hype forecasts. Additional support is needed to maintain and surpass the current level of services I offer. Future plans, including more updates and education, such as this post, more graphics, and an app, rely on your support. 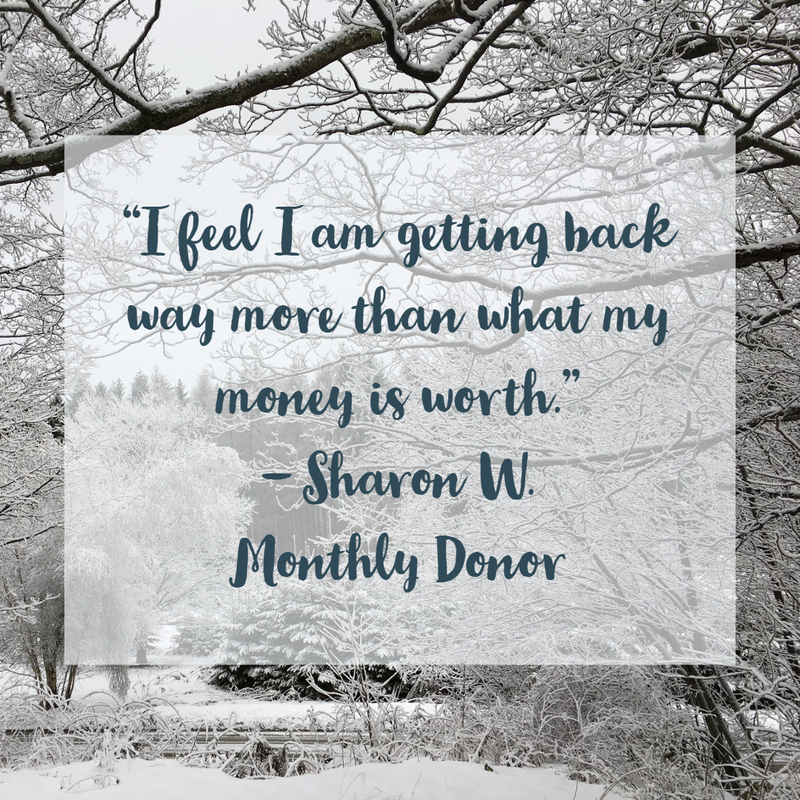 Just $5 a month, combined with support from other donors, can make a tremendous difference. With just 100 more new monthly donors, the future of Finger Lakes Weather would be virtually secured. 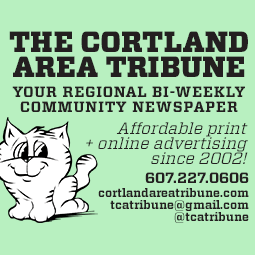 For less than a Spotify subscription, a pizza, a glass of FLX Wine, or a standard newspaper subscription, you can be part of making Finger Lakes Weather possible! Join your neighbors and friends in supporting science based local forecasting. Signing up is easy and secure with options to donate via PayPal or credit card. Best article about the subject matter out there. Wish I could shake your hand. Thanks, Drew. I always miss it and hear about it after the fact. Thanks for keeping us in the loop.